Do you need heating or cooling service for your home? Call Fox at (206) 654-4990 for an fast and reliable Burien HVAC repairs or installations today! Your heating and cooling systems ensure that your home is comfortable at all times. When they become damaged you can suffer not only in comfort, but also financially. Malfunctioning HVAC systems can result in higher than usual electric costs and large repair bills. 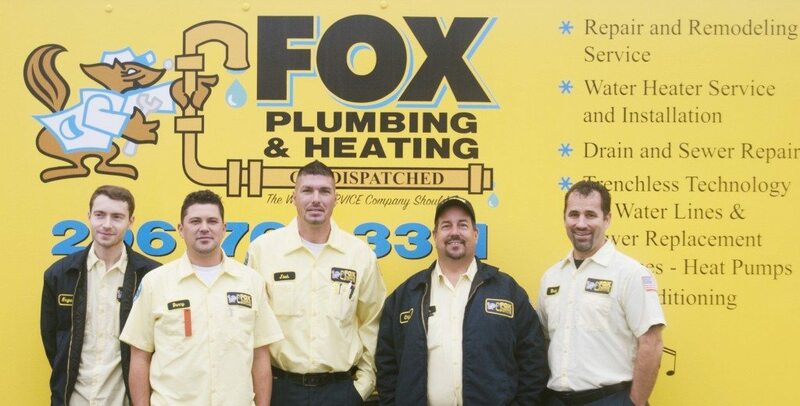 At Fox Plumbing & Heating we provide customers in Burien with expert solutions for all the most common issues including installation and repairs for heat pumps, gas furnaces, air conditioning systems, ductless mini split systems and more. No matter the severity of the problem, we'll find a solution, guaranteed! See what some of our past customers have to say about our services here, and call us to get the best Burien cooling solutions today! What are the benefits of professional air conditioner services? What sets us apart from other contractors is personalized attention. We take time to explain the problem to you so you know exactly what is going on with your unit. If a replacement is necessary, we will discuss different options with you without pushing you to make the more expensive choice. Our goal is to make sure you receive the best service that fits your budget and needs. Once we solve your cooling problem, we are happy to provide tips on how to best maintain your unit and how to avoid issues in the future. In most cases, we will be able to replace faulty components without a whole-unit overhaul. We recommend annual air conditioner inspections and tune-ups to keep your unit running as smoothly as possible, and to avoid premature replacements. How can a damaged furnace affect your home? Once we are done working on your furnace, you will be able to rest easy. With our factory training, and years of experience, we know that the services we provide you with today, will last for years to come. Are you looking to improve the air quality in your home? Through the use of these professional solutions you can ensure that the air in your home is comfortable and healthy for you to breath throughout the day. If you’re looking for heating and cooling contractors in the Burien area, look no further than our expert staff. Call us at (206) 654-4990 and schedule an appointment with our HVAC experts today! The service provided by James and Mike B was great. I have been a long time Fox Customer and will continue to be, their Technicians are customer friendly and provide excellent service.